At last! 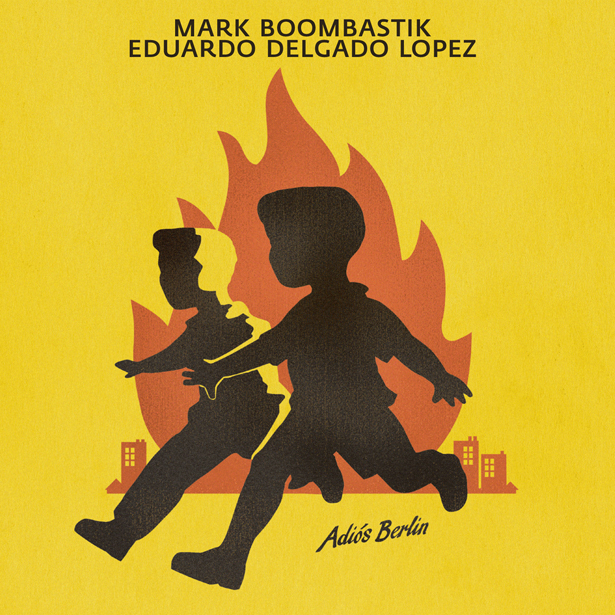 Beatboxer, lyricist and singer MARK BOOMBASTIK finally releases his album ADIOS BERLIN, produced with EDUARD DELGADO LOPEZ (bass guitar and more). No more pseudonyms, no frills, but intimacy between sense and nonsense: a grand record. ADIOS BERLIN is: champagne and unpaid rent. It is: love and hate - it is: a conviction and an absolution of the possibility to be different, to live differently. It is: the mainstream suitability of the peculiar, like cooking without a recipe. It is: tomato stains in a kitchen, scratches on a record, scars on a shin. It is: a swan song and a new beginning. An album like a speech, between accapella and beatbox, punk and rough cut - techno and experiments for a special audience. Tracks like FUNKGERAET and ARBEIT whir more like they’re in love than in danger. 1000 and HITZE sound like waking up after a big night and declare a state of emergency. Explanations are out of the question here, especially here. The reactions will take care of it in their own way. If not, it’s time for PUTZEN! (cleaning). This track comes along as a special 7” with the beautiful vinyl record plus album cd. EDUARDO DELGADO LOPEZ has played with everyone who is anyone, but is especially known for playing bass with the CASPER BRÖTZMANN MASSAKER. His radical, minimal and sequential playing seems just to be made for MARK BOOMBASTIK’s sharp beat(boxing). ADIOS BERLIN - a lunatic zest, a pain of good music.